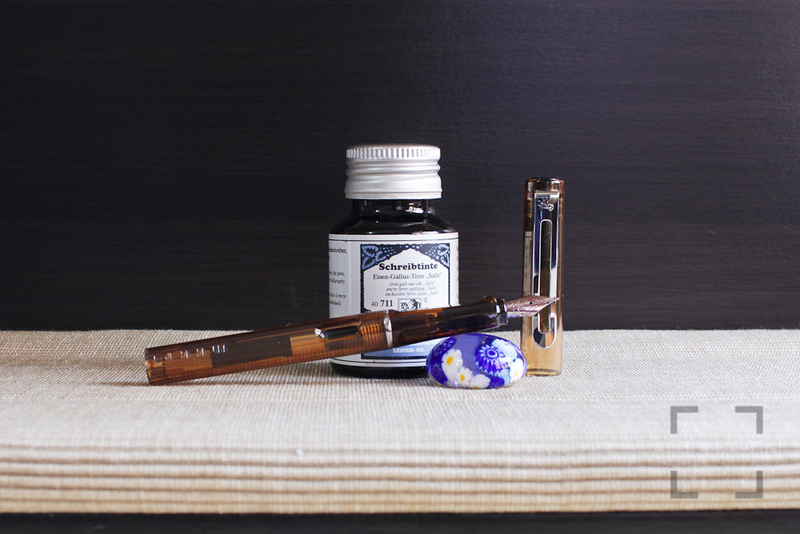 I have purchased the Jinhao 599 on a whim when I visited one of Singapore’s local pen shop, Straits Pen. It was only SGD$2, why not? The Jinhao 599 is a Lamy Safari knock off made by Jinhao, a China pen manufacturer. The Jinhao 599 isn’t a complete copy of the Lamy Safari but the differences are way too minor to claim that it was merely inspired by the Lamy Safari. 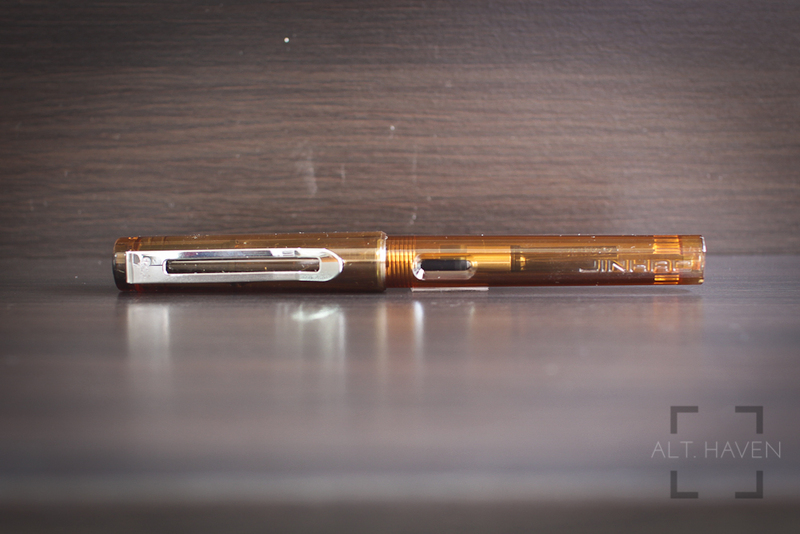 My Jinhao 599 is the clear amber version. At a quick glance, it might not ressemble a Safari because of the colour. However, it was quickly evident once you have a chance to examine it. 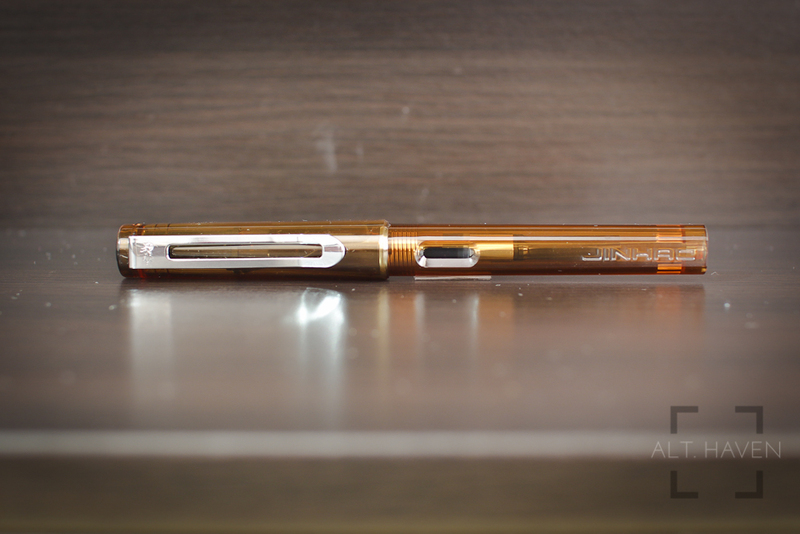 The Jinhao 599 comes with a relatively tight silver clip that is attached to the cap. The cap pops off easily but at times it takes a very hard deliberate push to cap it. The Jinhao 599 that costs a whooping whole $2 and it even came with a converter. The converter is even styled to look like the Lamy Z26 converter. One thing to note about the convertor. It might look like a standard international converter but the diameter of the opening of the converter is just ever so slightly different from the standard international converter. I’ve tried fitting a standard international converter into the pen but it wouldn’t take. The Jinhao 599 comes with a tiny stainless steel nib that wrote surprisingly well. 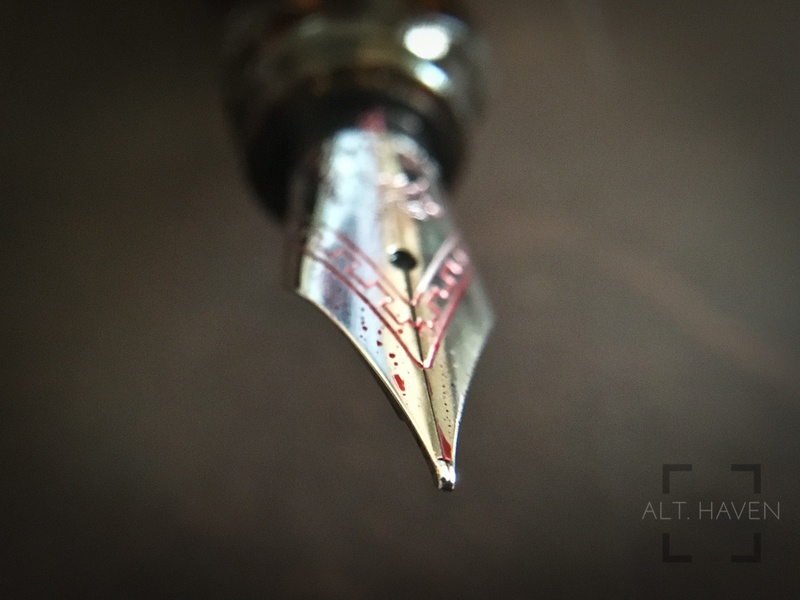 I’ve opted for a F nib, it isn’t a wet writer like the Jinhao X750 I reviewed previously. I throughly enjoyed the writing experience. In general, the fit and finish of the Jinhao 599 cannot be compared to the Lamy Safari’s. The plastic feels cheap and thin in some areas. Plus, the body picks up micro scratches very easily and they are very visible. There are loose plastic that should have been removed during the manufacturing process. However, those are just very minor flaws. The overall construction of the Jinhao 599 is pretty decent with no sharp edges to affect the writing experience. As I have mentioned before, almost everyone would forgive a lot if the pen is cheap. For all the little flaws that the Jinhao 599 has, it stands up where it counts. The nib is smooth and great to write with. And for SGD$2 you get a converter and the pen, pens with price tags 100 times more might not even get you the converter along with the pen. So in a bid to spread the love, I am giving away this pen. All you have to do is to tell me what do you enjoy other than fountain pens in the comments below. This giveaway is open to local and international readers. The giveaway will close in 23rd June.